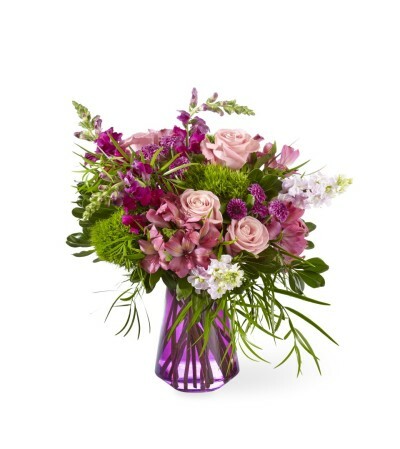 Our Berry Happy Bouquet is filled with sweet sentiment and elegant blooms. An array of pink roses, green trachelium, fuchsia snapdragons, and luscious greens are set in a vibrant purple glass vase. 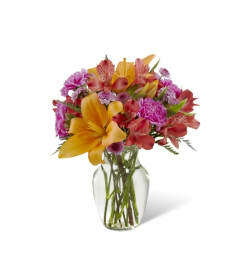 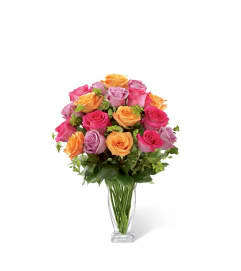 This artful collection of flowers is a gift that will leave a lasting impression on its recipient.